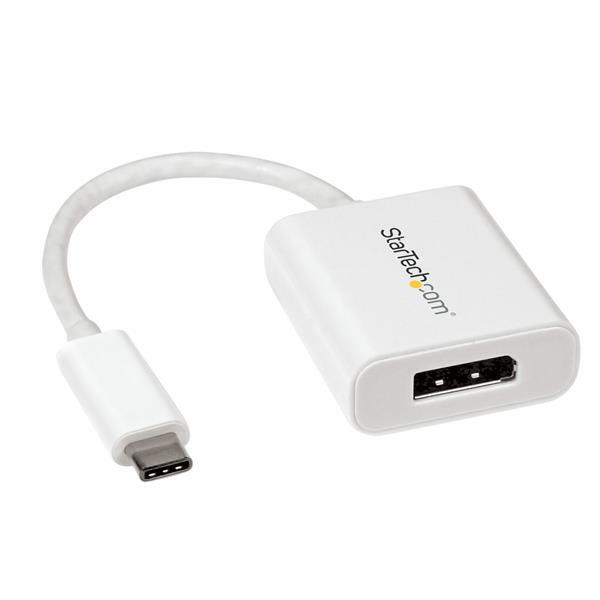 This USB-C™ to DisplayPort adapter enables you to output DP video and audio from the USB Type-C™ port on your laptop or other device. 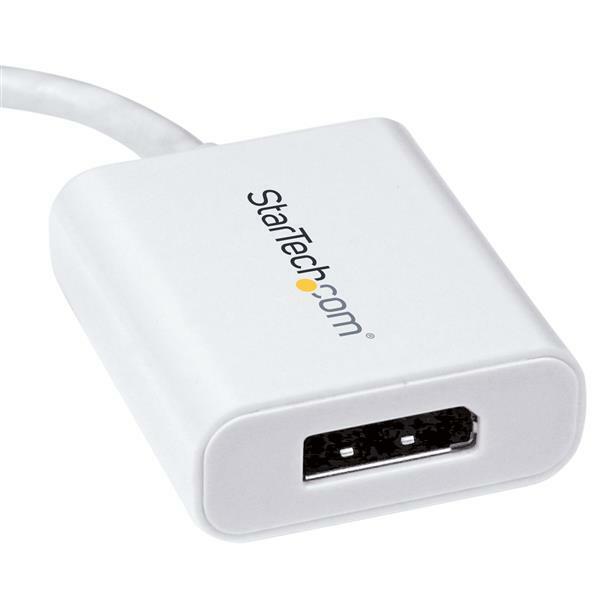 The adapter works with USB-C devices that pass a DisplayPort (DP) video signal, such as your MacBook Pro, Chromebook™ or 2018 iPad Pro. This enables you to connect your DisplayPort display to your USB-C computer using a DisplayPort cable. With its all-white design, this USB-C video adapter is the perfect accessory for your MacBook with USB-C. The compact adapter is lightweight and easy to take with you in your laptop bag or carrying case, which is great for BYOD (Bring Your Own Device) applications at the office. While the adapter looks great next to your Mac and HP ENVY, it also works with any USB-C computer that supports DisplayPort Alt Mode, such as your Dell® XPS or other Windows® laptop. The CDP2DPW is backed by a 3-year StarTech.com warranty and free lifetime technical support. Solid construction and worked very well for our multi monitor laptop setup.